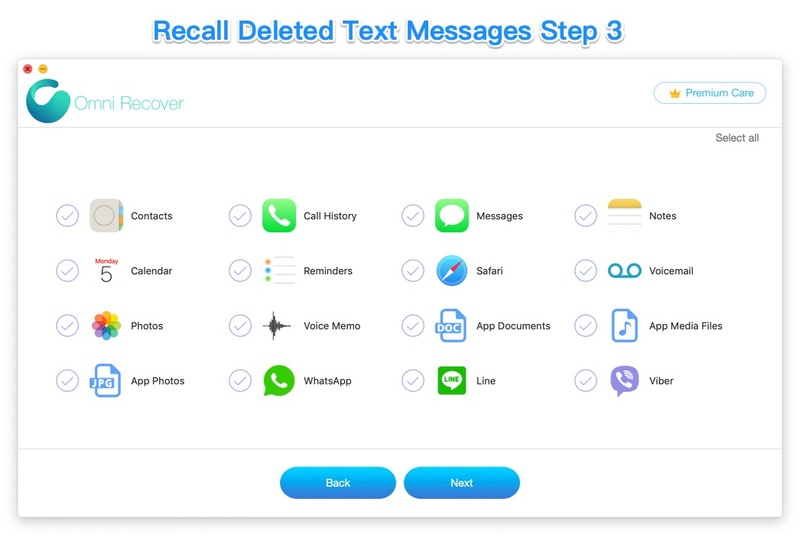 Summary: In this article, we help you to learn How To Recall Deleted Text Messages on iPhone by using our best iPhone Text Message Recovery software - Omni Recover. 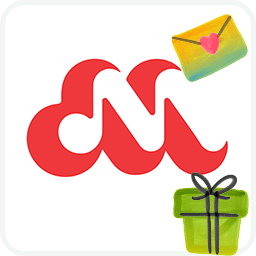 Make sure you have downloaded the latest version here before continuing. iMessage is an exclusive feature for iOS, and it is more than just a messaging platform to text your friends. It can do a whole lot more, like sending audio messages and even sharing your location so friends know where to meet you (How To Extract Old Text Messages from iPhone). However, two killer features seems missed in iMessage and the Message app. One is you cannot undo a sent iMessage, the other is you cannot recall deleted text messages on iPhone. 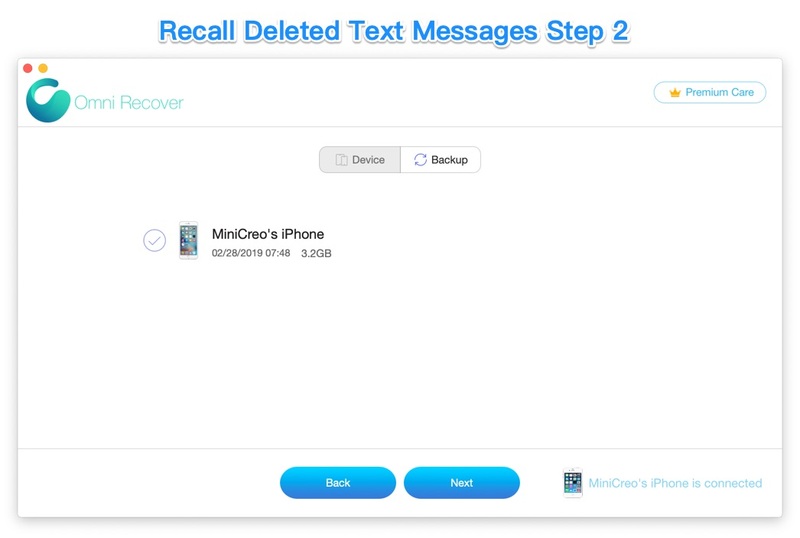 In this particular guide, we will show how to get your deleted text messages back on your iPhone (Recover Deleted Text Messages on iPhone without Computer). 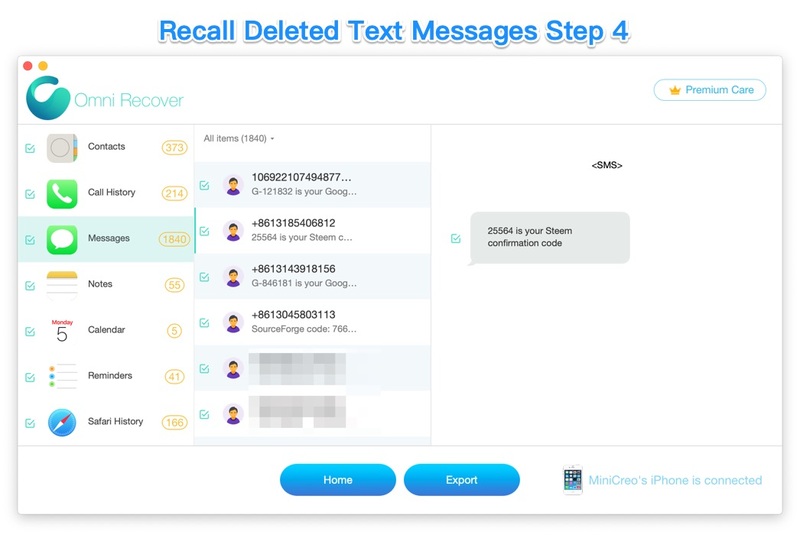 There is no easy trick to recall deleted text messages on iPhone since it's not a native iOS/iPhone feature. 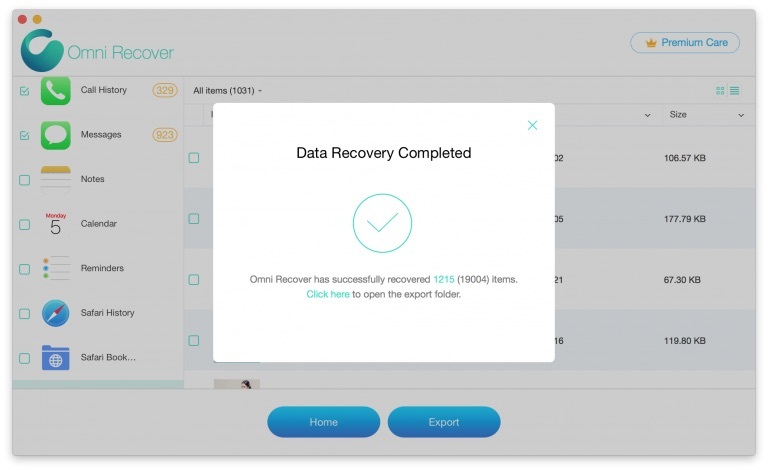 It means you need to find a third-party and expert iPhone Text Message Recovery software to accomplish this task. 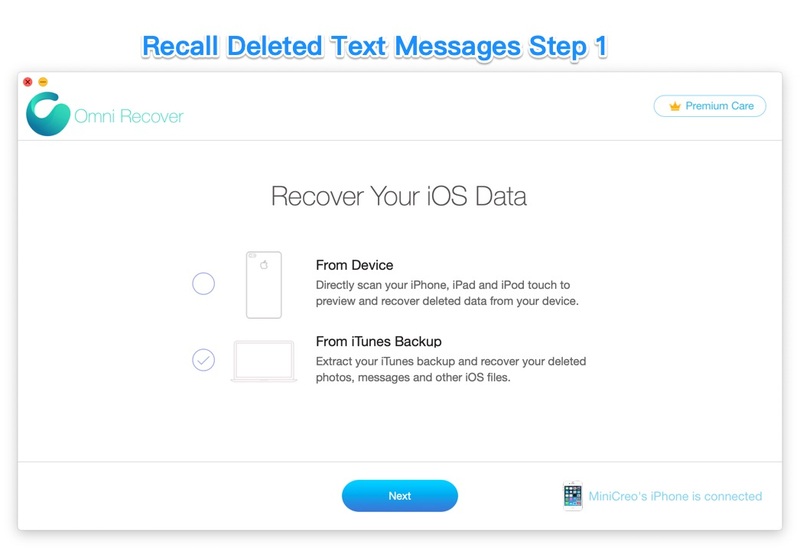 Here are the tools you need to retrieve your deleted iPhone messages. When it finished scanning, you can see a full set of iOS data types that supported by Omni Recover > Choose Photos > Click Next. Choose the deleted text messages that you want to access from iPhone > Click Export to start recalling your deleted text messages on iPhone. Once it completed, tap Click Here to browse the exported folder on your Mac. Then you can retrieve your deleted text messages on this iPhone.